“We (Gianni and I) agreed that when you let go of unnecessary things, only the character ichi- one -Oneness is left. . . . The advanced group spent the first three keiko studying with Ito Sensei. Chuden no Kata and Okuden no Kata in the kenjutsu program were practiced. In addition, the group selected a few of the advanced Jissen Kumitachi to focus their study. Minagawa Sensei lead the next three advanced keiko to focus on Jissen Kumitachi #1 to 11. Each morning started with an hour of collegial practice to review the teaching from the day before. 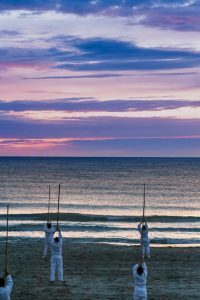 Each evening concluded with meetings: the Kenjutsu Task Force, the European Technical Committee, and the general membership meeting of the European Shintaido College. The last night was a party that included Ula leading ice-breaker activities and Shin teaching line dancing! 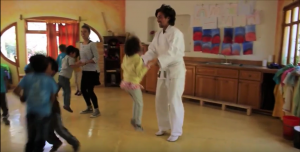 The general gasshuku began Friday afternoon with a keiko taught by Gianni Rossi. Two keiko were taught on Saturday. Weather cleared enough to be at the beach with a stunning view of the mountains to the north and a calm sea to the west. 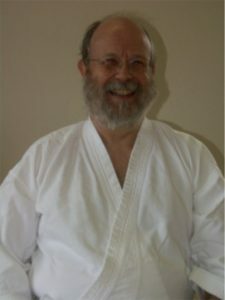 Shin Aoki and David Franklin taught karate. 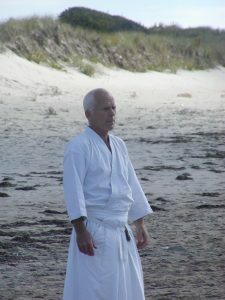 The second beach keiko was bojutsu lead by Alain Chevet, Georg Muller and Stephan Seddiki. The group experienced an Italian sunset over the water. Saturday morning and Sunday morning, Ito Sensei lead a 6:30am Taimyo meditation. The fourth keiko was kenjutsu by Pierre Quettier and Ula Chambers. Pierre gave a demonstration with his katana showing Chuden no Kata and Okuden no Kata. Masashi Minagawa lead the closing keiko with open hand Shintaido. The United States was represented by David Franklin, Mike Sheets, Connie Borden, Michael Thompson, Mark Bannon, HF Ito and Shin Aoki. Joe and John. I’m sorry I missed a chance to talk to you just before your departures. In these days, the more I practice Tenshingoso, the more I appreciate the end of the movement (Oooooo~Uuuuuu~Mmmmmm)! When I was young, I was practicing this part of Tenshingoso according to the text/recommendation written by Aoki-sensei. I enjoyed it, and I kept sharing my understanding with many people having the confidence of how much I know about the cycle of our life. Now that I’m 76 years old, I understand that my grasp of this part of Tenshingoso has been rather superficial. It is always difficult for me to watch those who helped me share Shintaido leave for the next stage of their life. I wish I could have had a face-to-face meeting and express my gratitude in person. Through the sound of Oooooo, I believe that I can reach you who are now omnipresent in the universe! Through the sound of Uuuuu~Mmmmm, I can feel you in my Hara, You are gone but I still have many memories of the goodness I have studied from you. Through the sound of Mmmm~Aaaaa, I can ask you to appear! I hope you will continue to share Shintaido, and want to ask you to become our “Guardians” in the sky! Looking forward to talking to you in Ten in the near future! With John there was always a story. I remember his account of his studies at San Francisco Theological Seminary in San Anselmo, California during the American War in Vietnam. 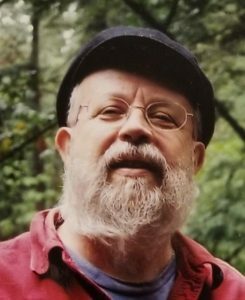 John was active with students who participated in the 1960s version of an underground railroad, housing draft dodgers and conscientious objectors as they made their way north to Canada where they could request asylum. 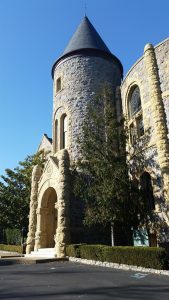 John didn’t fit into the mold of the purely intellectual student and struggled against what he felt was the seminary’s narrow and academic view of the world. He spent time in the outdoors to decompress and often visited the Mountain Theater on Mt. Tamalpais. And John often took an unorthodox approach to life, driven by his creativity and curiosity. One of my favorite stories was the visit that Sara Lee Morrissey (later Seaman) made to campus as a visitor. Lee met John on campus and they became fast friends. Fellow students remarked that John’s personality had mellowed noticeably during Lee’s visit, and they appreciated it! John drove Lee to the airport when it was time to leave. As they drove, something hung in the air — perhaps it wasn’t the right time for Lee to leave? Return home or stay? The car turned around and they never made it to the airport. Lee stayed on at the seminary for some time, and John’s fellow students welcomed her salutory effect on him. John and Lee were always together after that. There were a raft of “teaching” stories and when John started one, the longer term students would nod knowingly and watch the expression of the newest people. What were they taking from this story? What did John intend to convey and for what reason? The stories were an opportunity to see a part of oneself reflected in a safe way — in a medium that had space for feelings and upwellings of memory. It was also a chance for those who had heard the story many times to see if they could harvest new insights. My early questions to John were about Shintaido practice. Once I was scared by a feeling that came up during practice and while others laughed it off, John simultaneously took it seriously and made it seem normal and unsurprising. I was so relieved and grateful to be seen at that moment. And I was able to relax, knowing that my experience wasn’t unnatural. Over the next ten years my questions expanded to ones about life. I had dozens of conversations with John about personal challenges because I knew he would never be shocked, and would always tell a story that contextualized my experience. John modeled how to create a safe harbor. Since then I have mentored and coached many people and drawn continuously on John’s model to try to provide a safe harbor for others who are seeking. I made regular visits to Bellingham to study with John and Lee and their students. I was interested in John’s unorthodox (compared to the Bay Area) teaching style that included a very informal warm-up with lots of conversation and new ways of presenting bo technique. 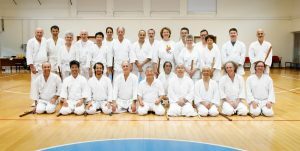 I appreciated that the focus was never on perfect technique, but on what the technique allowed us to learn about ourselves and our relationships with our Shintaido practice partners. John created a big space around practice so we could look at what we hoped to gain from Shintaido, what stepping back or stepping forward could be an analogy for (for example), why being opened up by our partners made us cry, or even why we just didn’t feel like participating. John made space to look at inward manifestations as well as outward ones. Any topic was fair game. 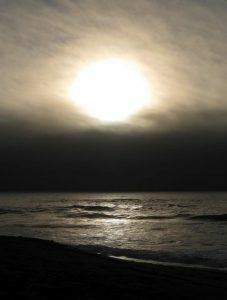 John had a very high expectation that people around him pay attention to their spiritual development including their shadow side – and address those changes that need to be made in their lives. If you saw him irritated or short with someone, it was probably because they are not paying attention to this aspect of their lives. John and Lee and their more experienced students used to have regular conversations they termed “staffing.” It was a cross between addressing personnel issues and mapping personal development. They would talk about where people were in their practice and their lives. It was always compassionate and never gossipy and the goal was supporting people in the way they needed to be supported. At first I mostly listened and then, after many visits to Bellingham, Washington, I came to know their students better and began to participate. Each person’s situation was held lovingly and with respect. Decades later I serve as an elder at my Quaker church and know the tone and approach to take for pastoral care because I practiced it with John and Lee. When I began preparing for my instructor exam I turned to John and Lee for support and advice. John was incredibly supportive and one day I surprised him by asking if he would support me by taking the exam with me. It was a bit mean because I had cornered him, but John agreed. We had many conversations about the exam elements and about Taimyo Kata, which John didn’t much like. In the end, it made a huge difference for me, being able to take the instructor exam with him in the big, cold gym at Mount Madonna Center in Watsonville, California. It was one example of John going the extra mile for his students. One of John’s maxims (and stories, of course) was that a good teacher always creates students more talented than they are. 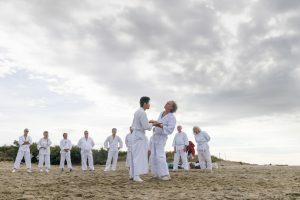 It was set as the gold standard and gave John an opportunity to tell stories about students who had gone on to become talented Shintaido practitioners and teachers. After I became an instructor John and Lee provided so many opportunities for me to teach in Bellingham and to work with them on exams. The debriefs about how people did and what they showed were always the richest part of the experience. 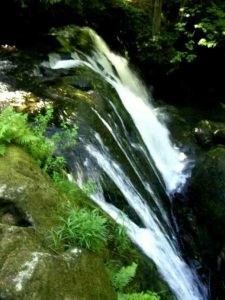 When I met John and Lee I was a spiritual seeker and they provided glimpses into their practice as Christian mystics. Just enough to make me curious. I asked lots of questions and John told stories about the Presbyterians and I learned about pentecostals, fundamentalists, contemplatives and mystics. I spent years asking very basic and dumb questions about Christianity and faith in action. John always had good information and a contextualizing story to help me feel less dumb. He and Lee were endlessly supportive without pushing me in any particular direction. It was an unconditional love that modeled being a follower of Jesus in a profoundly life changing way. Without that love and guidance I would not have found my church home with the Religious Society of Friends (Quakers) nor be doing the work I am doing as a Quaker. On one of my Bellingham visits John took me to a special stand of old growth Douglas Fir near the highway to Mt. Baker but tucked back from the road. John and lee had learned about it from a Lummi elder who trusted them enough to take them there. I walked a short path and stepped under the dark tree canopy and felt like I had entered another world — as in a storybook. The air felt different, the light was filtered and soft and it felt like a very old yet alive place. It looked like a forest but it felt inhabited like no forest I’ve ever entered. We walked quietly and connected to the trees, and sat on the moss and downed trees. In the first version of my will I asked to have my ashes scattered under the trees there. And in the current version of my will John is named as the person to lead my memorial service. When I heard that John had died I knew I wanted to organize a remembrance for him — since I outlived him, and in thanks for his willingness to do the same for me. One of the deepest lessons I carry from my study with John and Lee is how essential a learning community is if one is adventurous and interested in spiritual growth. I think it is either too terrifying or too dangerous as a solo activity. John used to say, “a lone wolf is a dead wolf.” Hunting for insight with the support and help of the pack makes a successful hunt more likely, and my study with John proved that. Thank you, John, for including me in your pack. How do you recharge after teaching? At our recent SOA board meeting, an attendee asked: “How do you recharge after teaching?” I became curious about what works for our Shintaido teachers to recharge? So, I ask for your comments and strategies and let’s see what a community does to sustain its teachers. My interest stems from being a nurse, a nurse practitioner, a palliative care consultant, a woman, a wife, a mother and a caregiver who has experienced times of professional burnout and is aware of the risk of burnout in all caring professionals. This question has often been asked of me in my role as palliative care consultant. When I explored this topic, answers included the capacity to build resilience. Resilience is often a characteristic attributed to those who continue with caregiving of various types– body work, fitness coaching, life coaching, teaching, healthcare professions, parenting, and being human. What are some of the ways to build resilience and recharge? There are plenty of research studies, talk shows, and books on this subject. Categories include but are not limited to self-care, spiritual inspiration and meditation, networks of likeminded people, expectations and goal setting, and time management and planning vacations. Self-Care typically includes exercise, diet, and sleep. 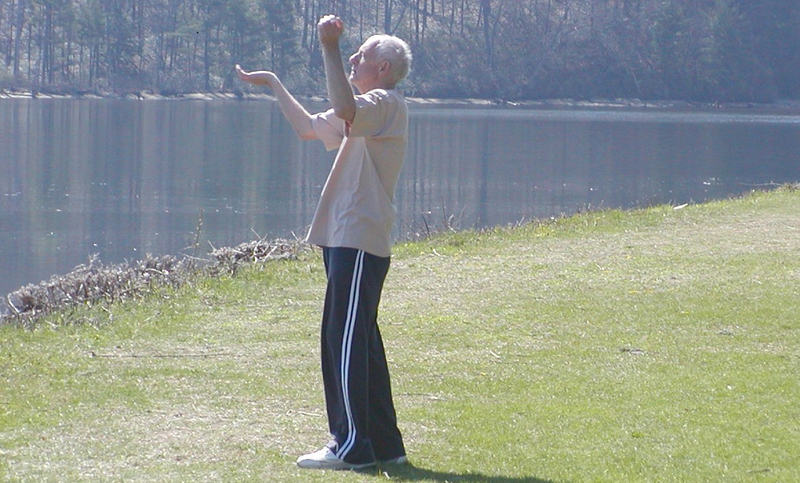 So, I wonder, for a person teaching body movement (Shintaido, Pilates, Fitness coaching and more) – what does exercise look like when this person is physically active as a teacher already? I also wonder, if a network of teachers is part of success, how does SOA become a learning community to support its teachers? I look forward to reading your ideas and what you have learned from being a teacher (in all the ways we teach and are caregivers) to answer the question “How do you recharge after teaching?” Please post comments in response to this to this article so that all can read your replies. Thank you! 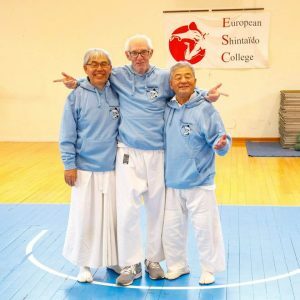 When we drove away from the Shintaido class at the South County Senior Center in South Deerfield recently, Stephen said something like: “That is so inspiring. I always feel great after that class.” I have to agree with him. I am teaching the class and Stephen is assisting me. The class ranges from 4 to 8 participants; all women and all in their sixties or seventies. Shintaido always seems to work its magic. As the teacher, I often leave work, drive home and get myself to the class feeling a little rushed and tired. Afterwards I feel clear and uplifted. 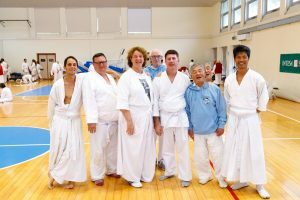 We have come to see by their regular attendance that these seniors are also enjoying themselves and the spirit of Shintaido. The center is an older building right in the center of town. When we practice inside, we have to move the tables and chairs of the big room to the side to make some space. When the weather is beautiful as in the past few weeks, we set up outside under the shade of two big maple trees. We always start in a circle sitting on chairs. We concentrate on our breathing and then move into seated warmups. Soon we are up and at it – warming up, stretching, doing balancing exercises. I originally thought that would be about all we would do but I soon recognized that this is a hale and hearty group. I have surprised myself by what I have been teaching. These women are not afraid to use their voices and they enjoy the sounds and movements of Tenshingoso. We have practiced wakame and other soft movements, but also enjoy stepping, cutting and most recently Tsuki! The classes last approximately one hour. We asked if they would prefer six or eight-week sessions but they all want to keep going. We may take a break in August, but otherwise we will continue the class on an ongoing basis. It is true that some seniors have physical limitations, but everyone in this group seems very self-aware and able to work within their limitations and of course, Stephen and I are careful and make adjustments as necessary. Who knows if some of these seniors will become active and participate in the larger Shintaido community? I hope so, but I am also quite content to continue this lovely weekly practice. The most surprising thing for me is how very like any other Shintaido class this class is. It is the transformation that comes from connecting with heaven and earth and with one another that gives a meaningfulness to our movements and our practice together.